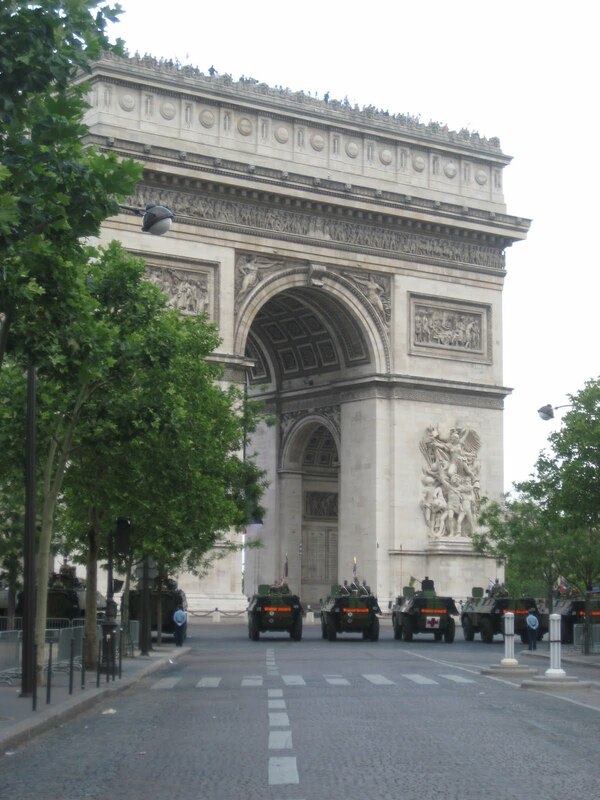 Yesterday was Bastille Day here in France, so my boyfriend and I woke up early to hit the Champs Elysees for the parade. 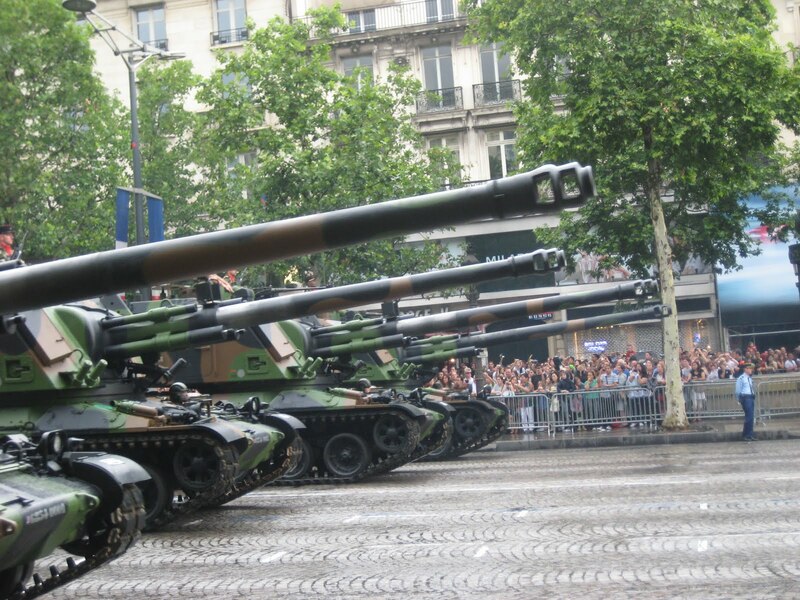 The streets were already packed with people, police and army tanks. 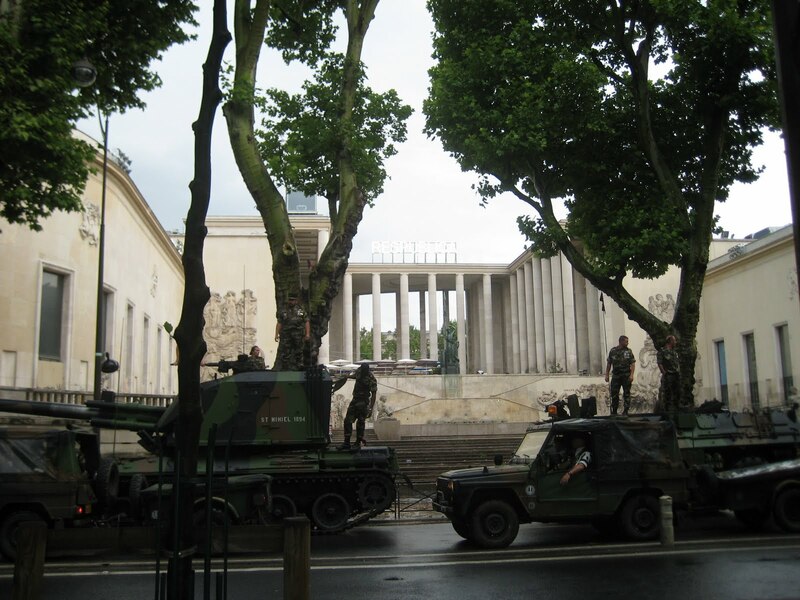 There were army vehicles all lined up around the Arc de Triomphe. After having my bag searched, then being frisked by police we were allowed to enter the parade area. 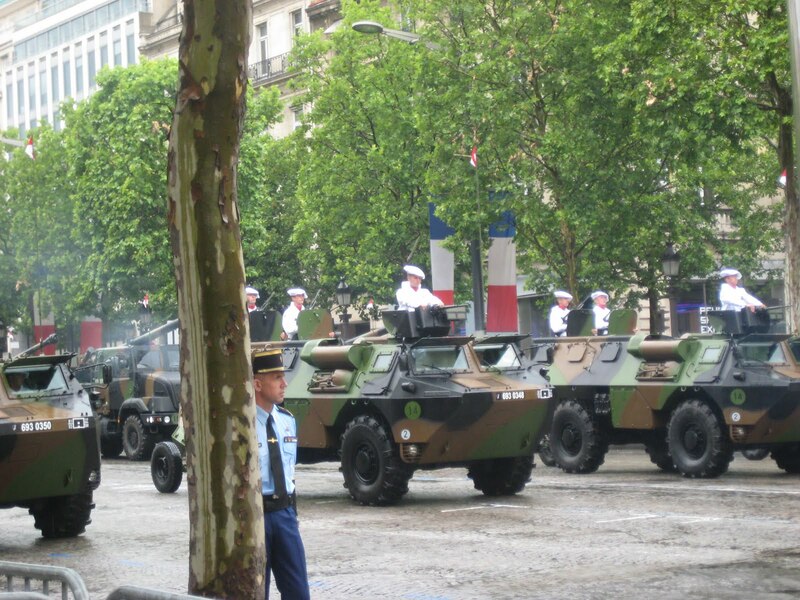 I couldn’t believe the amount of security that you had to pass through to watch a parade! I guess I am just not used to it in Canada. As we stood and waited for the festivities to begin, the skies opened up and rained like never before. It rained so hard, that it even started coming through the umbrella. The only good thing about that was people started leaving because it was too wet, so we managed to front row against the barriers. 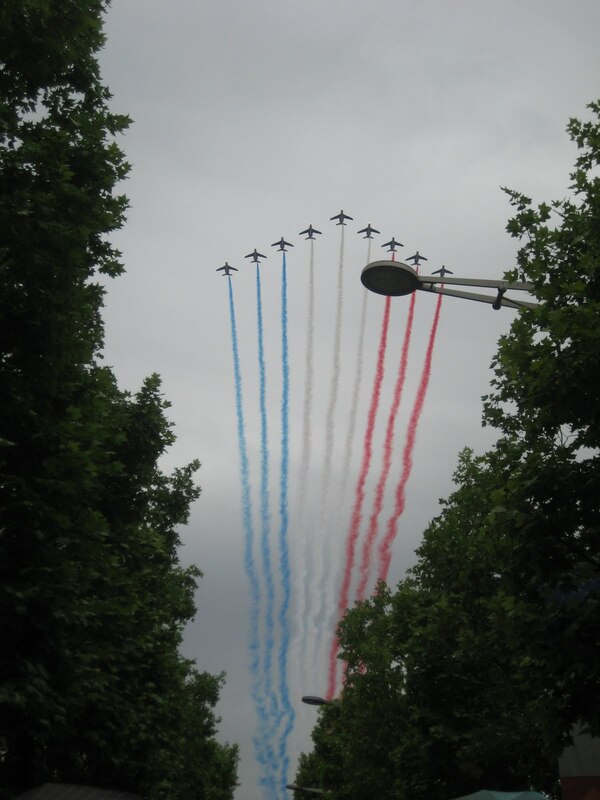 Once it was time to begin, Aircraft started flying over spilling Red, White and Blue smoke into the sky. 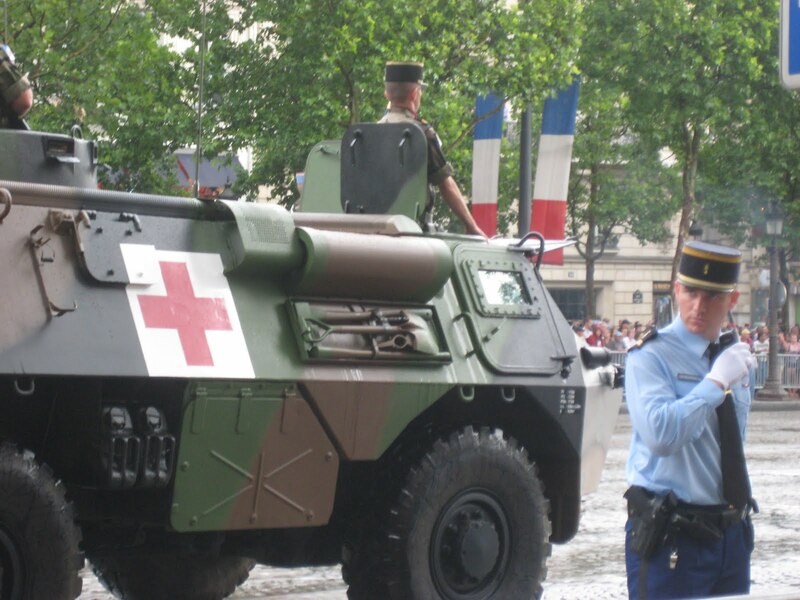 The parade started and the army vehicles started rolling by. I snapped some photos and tried to stay under our umbrella as much as possible. We decided to leave right after the parade ended since it was still raining. 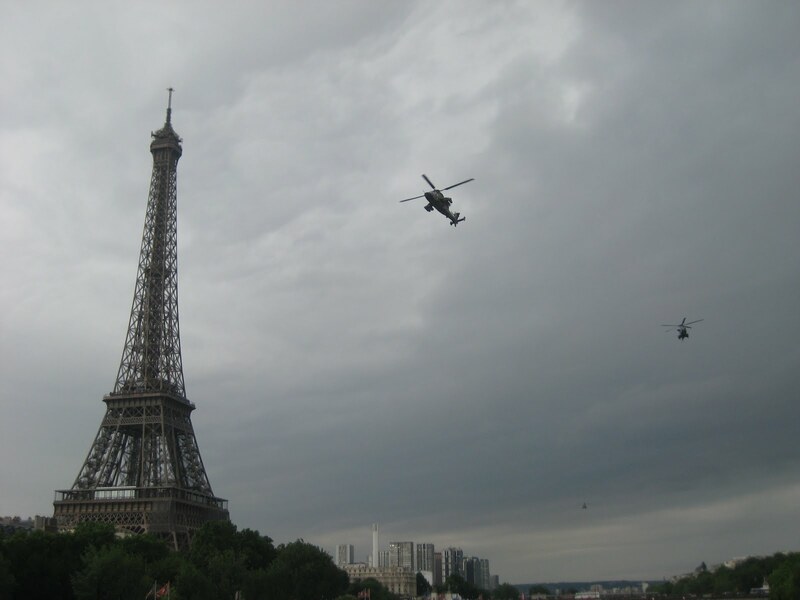 On the way home to our apartment, we saw all the army helicopters flying around the Eiffel Tower. 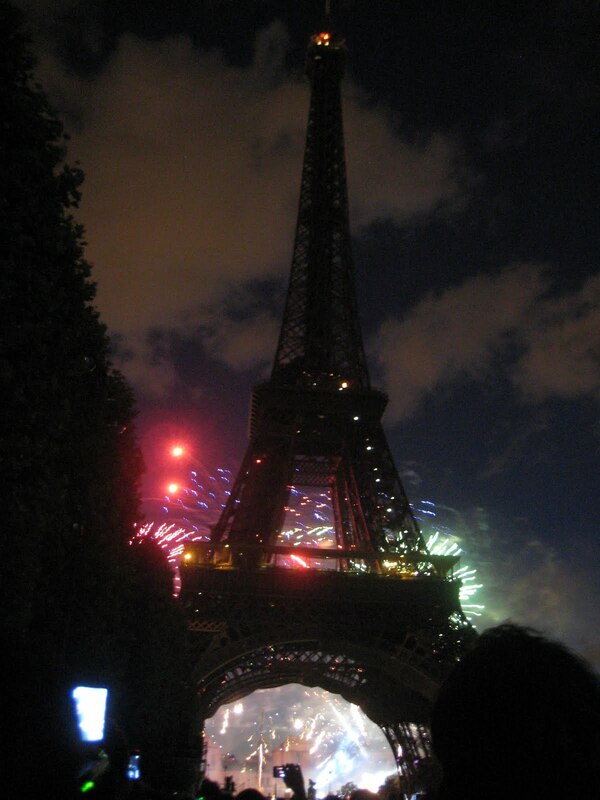 At night, the fireworks at the Eiffel Tower were amazing! 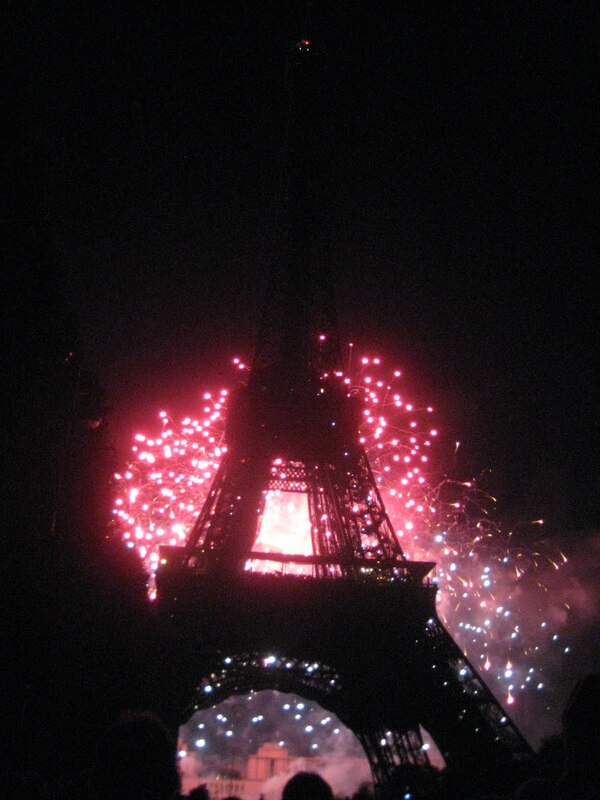 We made our way over to the tower just in time for the celebration to start. It was packed with people, and we heard on the radio this morning that there were approx. 300,000 people there watching the show. 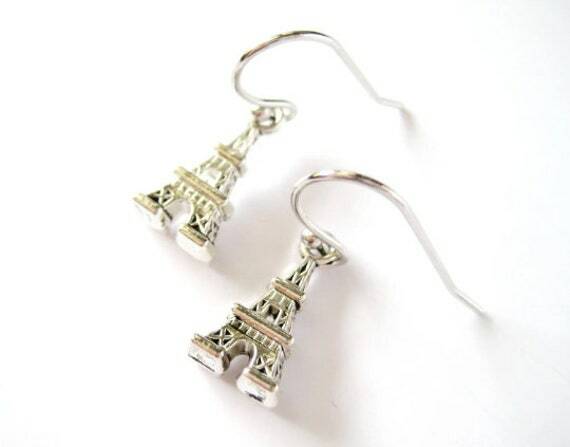 You could see the outline of the Eiffel Tower behind the lights. 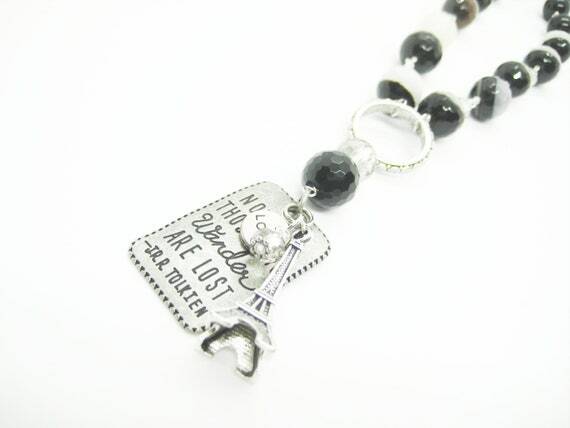 At one point, they turned on the sparkling Eiffel Tower lights, and it was beautiful! 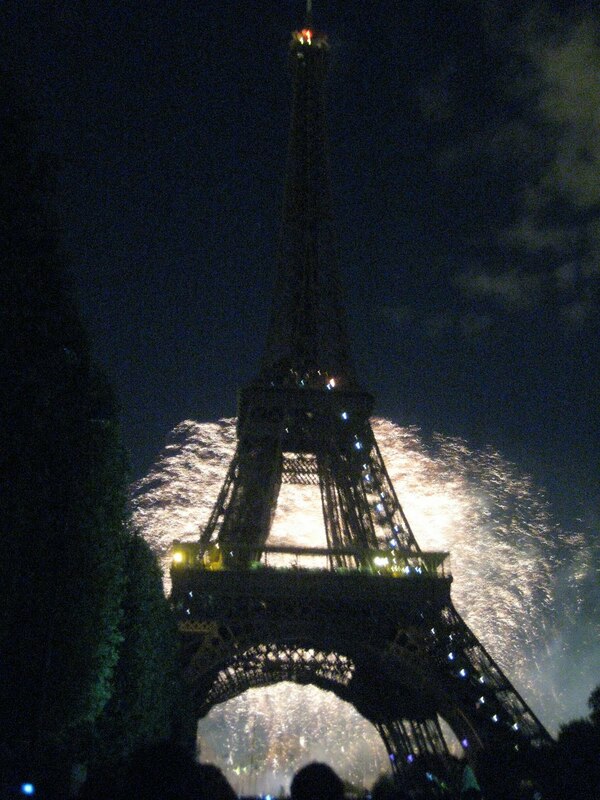 What a great way to end Bastille Day!